Foursquare is down to three venture firms to lead its next round of funding, Dan Primack at peHub reports.Redpoint Ventures has dropped out of the running to fund Foursquare’s next round, says Dan. Michael Arrington at TechCrunch previously reported the round would be $10 million at a $60 million to $70 million valuation. 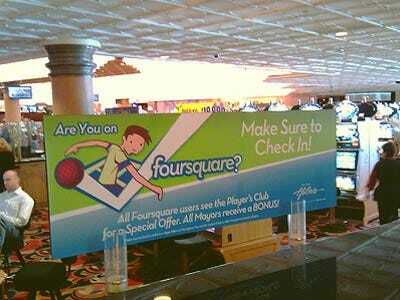 Foursquare should make a decision in the next few weeks, says Dan. It’s just deciding which firm it’s most comfortable with. Accel Partners, Andreessen Horowitz, and Khosla Ventures are still in the running.